Thanks for your visit &comment ! 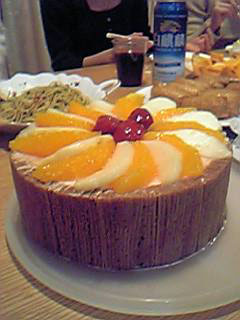 The picture of cake in this article was made by Megumi alone! I haven't made such a fablous cake yet! If Megumi is a good cake-maker, then she must be a bad teacher... so you'll never make a wonderful cake OH NO!!! Oh! I got you mean! You read this article very carefully. But,I hope she is a not only good teacher but also good cake-maker! She wrote comment above,"I wanna be like Sadaharu Oh ."